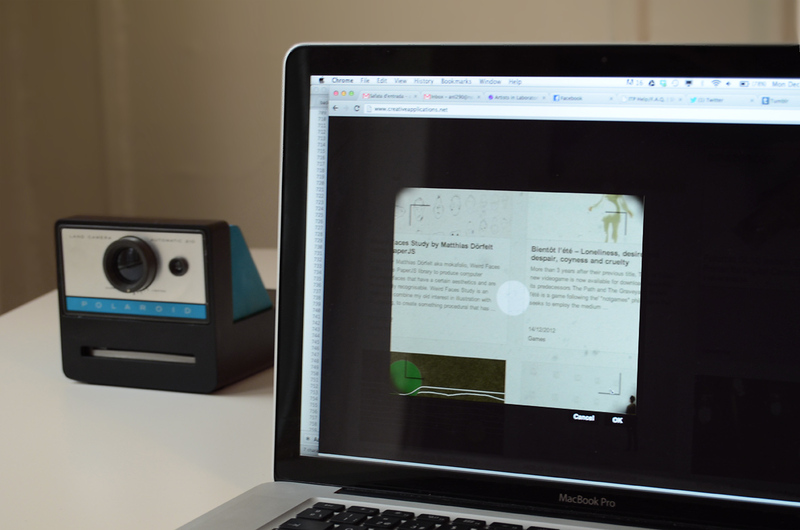 A camera that allows you to take traditional instant pictures of your digital experiences. An ambient device, part physical and part digital, meant to address the fleeting nature of online interactions. We believe that our daily online activity –conversations, discoveries, games– is as meaningful as our activity in the physical world and, as such, should be preserved the same way we try to capture every important moment in our life. Especially because most of this experiences will be soon forgotten, lost under layers of information, databases and outdated services. 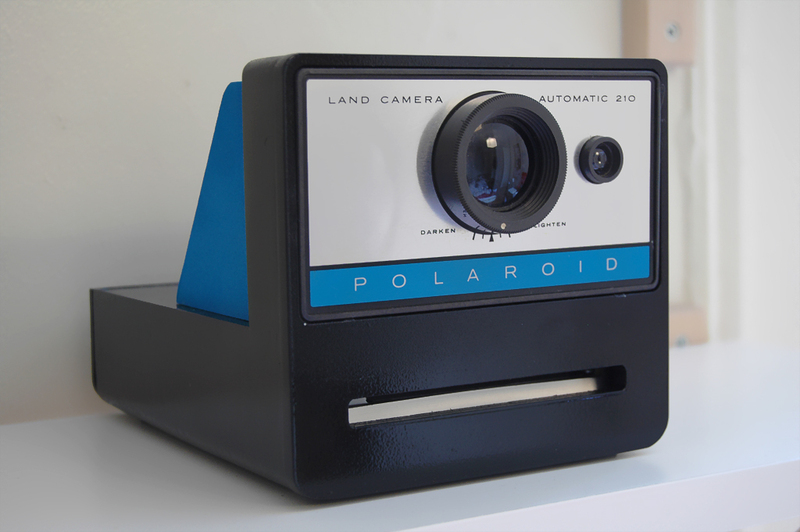 Given the powerful association of instant photography with memories, people and nostalgia –rather than with photographic quality– we designed our camera as a fictional Polaroid product. 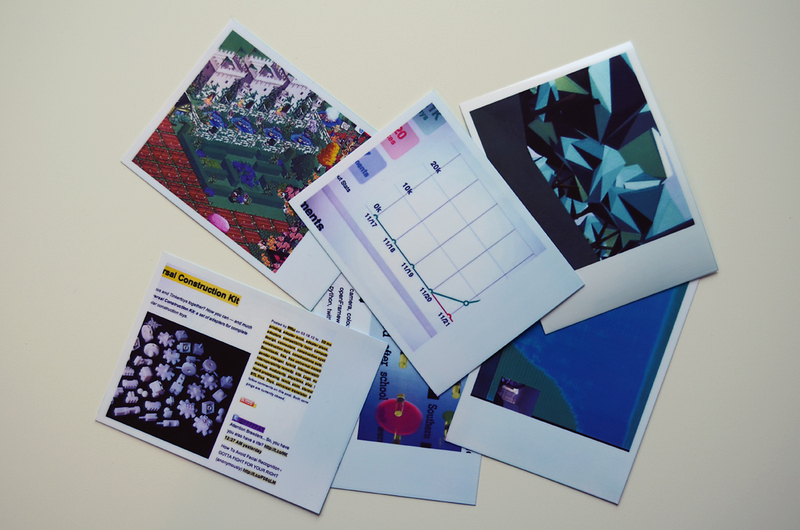 One that captures digital media in a traditional analog format, as means to create tangible, durable mementos of our digital life. To find out more about our background research, feel free to browse my presentation on repurposed cameras. The camera is composed of two interfaces. 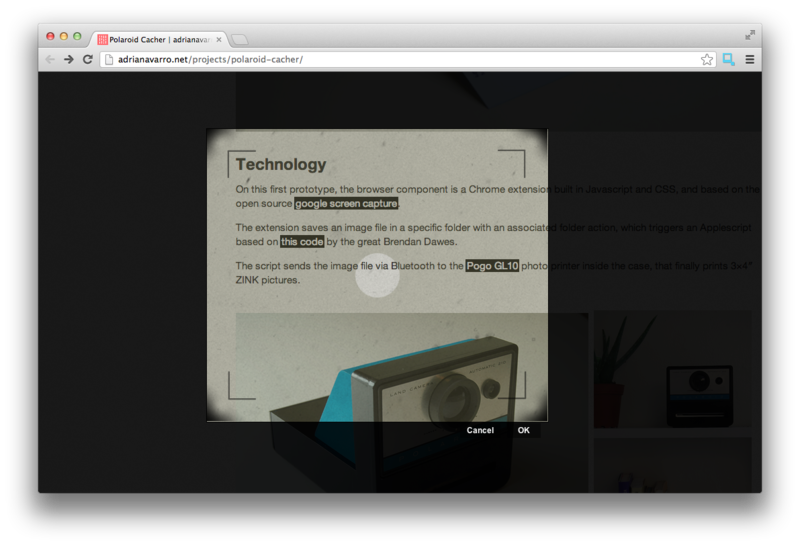 The “lens” is a browser plugin that waits for your input. The moment you want to take a picture, it overlays a viewfinder that allows you to frame an area and shoot a picture of it. The physical interface is an ambient device that requires no interaction from the user. After taking the snapshot, it will “develop” the picture and wirelessly print it, framed like a traditional instant photo. 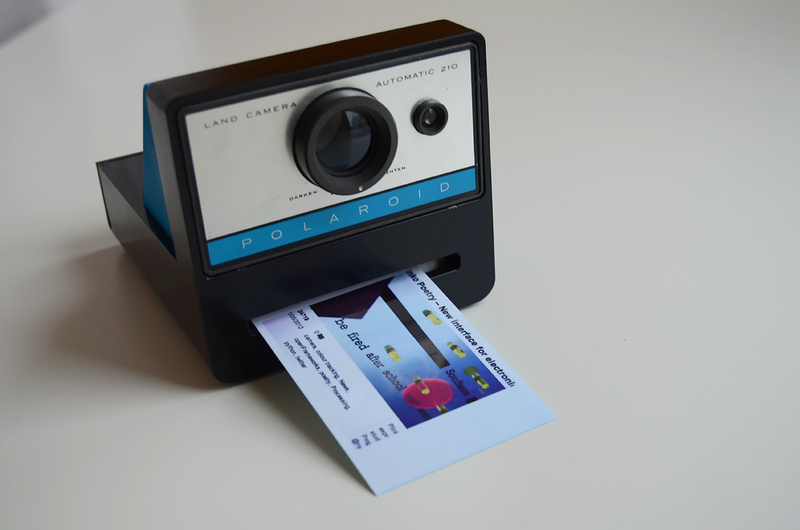 It was built by combining a vintage Polaroid Land Camera and a custom laser cut enclosure, in order to represent the same convergence of analog and digital media that the project is based on. Other methods have been considered as the input for taking the picture. Using a native application to solve the browser limitation, analyzing the smile from the user to passively decide when to capture the screen, or making the camera a shared object.